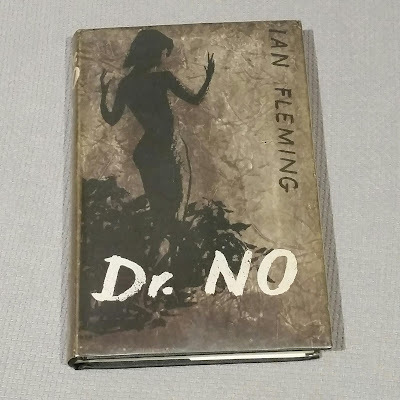 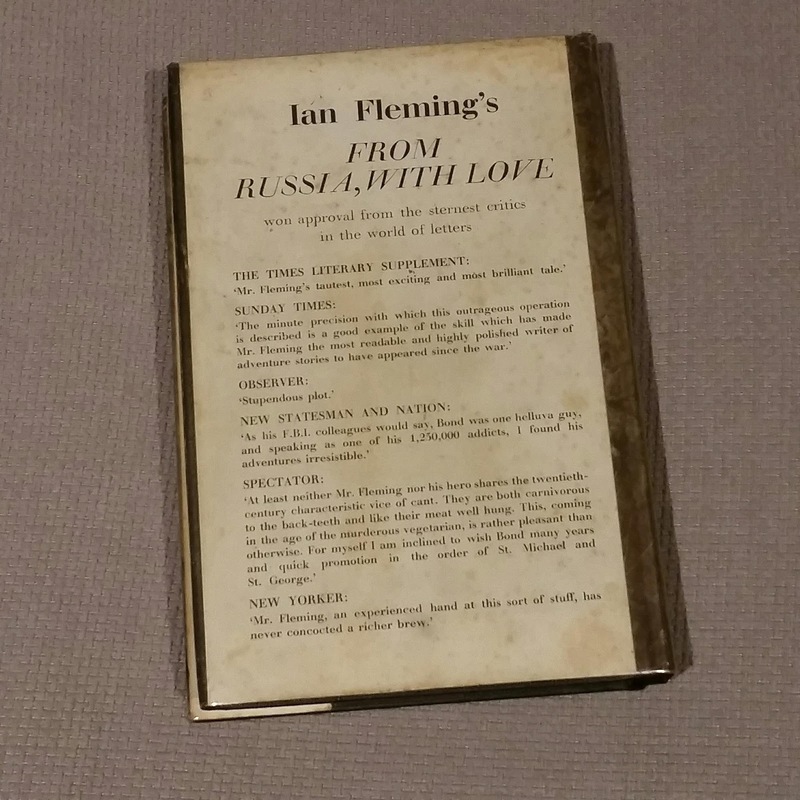 Back in March my brother visited a second-hand book store and found a hardback copy of Ian Fleming's "Dr No" on the shelf. 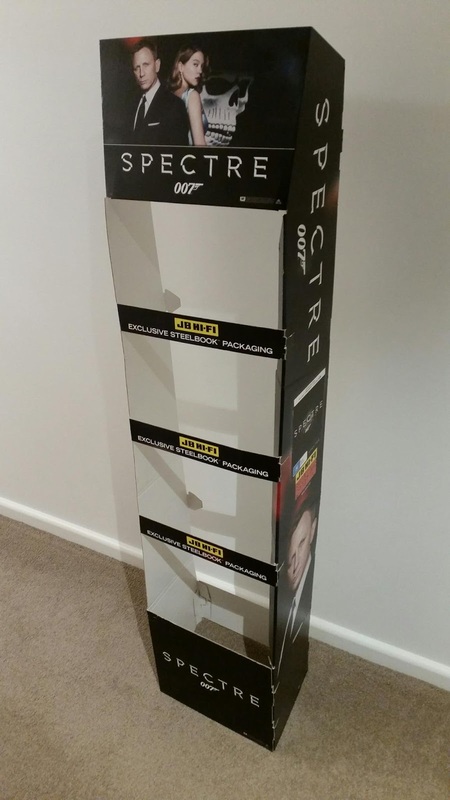 He managed to purchase it for $40. 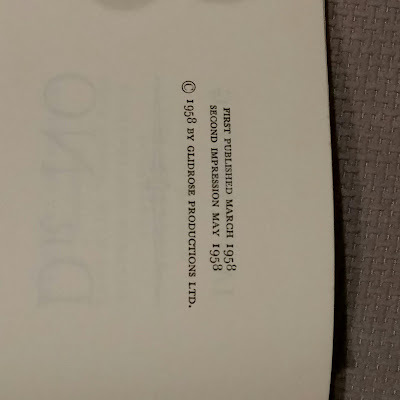 Recently he dropped it off at my house and I paid him for it. 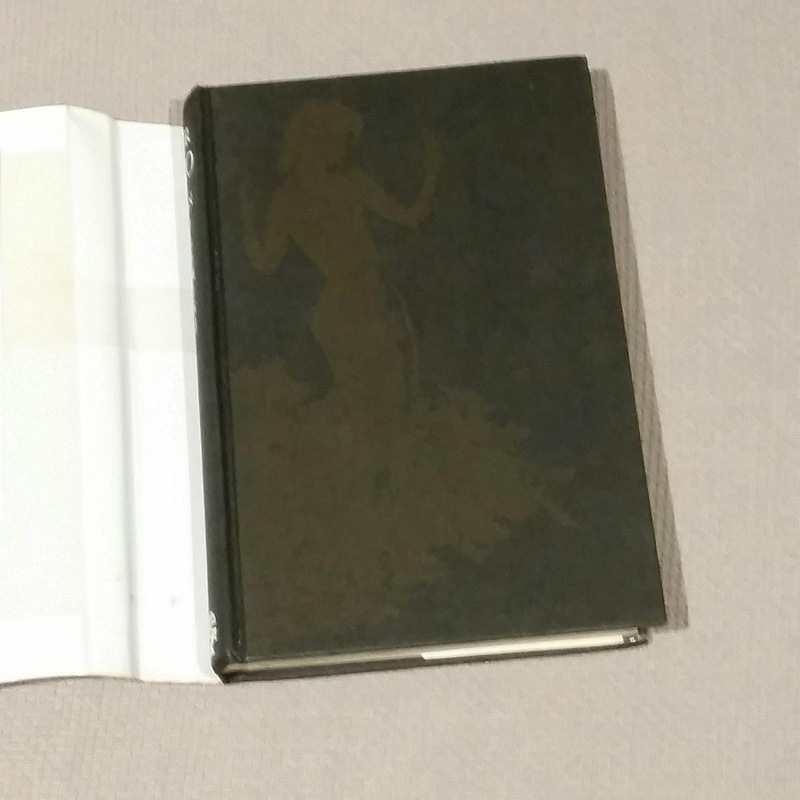 So now as I have the book in my possession I can add some photos. It's a Jonathan Cape second edition published in 1958, has a dancing lady under the dust jacket, and the back of the dust jacket has a little foxing. But overall it's a great book purchased at a bargain price, especially as the book is almost 60 years old. 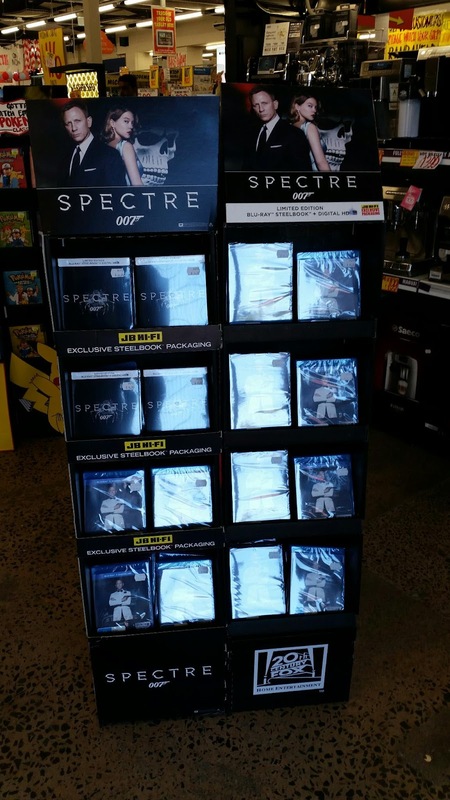 On March 9 the latest James Bond film "SPECTRE" was released on DVD and Blu-Ray in Australia. 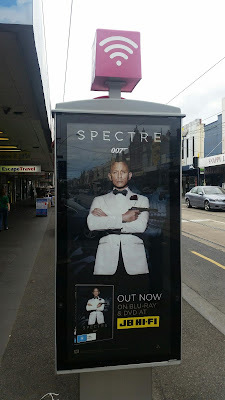 Strangely I don't recall any ads on TV or radio promoting the release, however I did see lots of bus stops and phone booths featuring this poster. As well as two of these cardboard cubes. 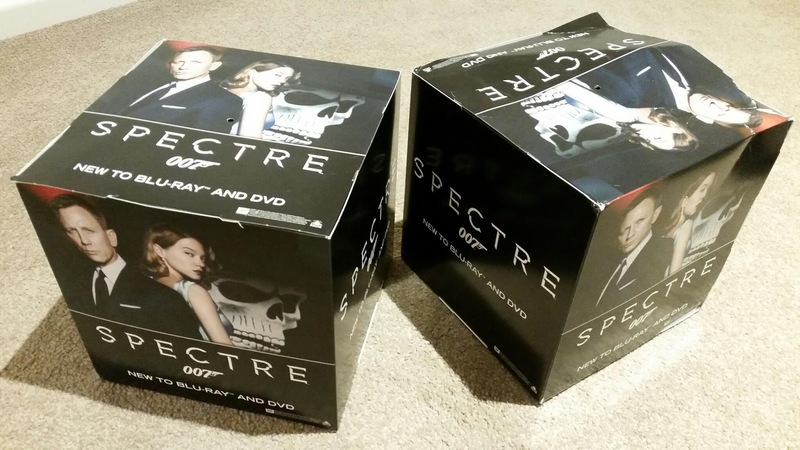 One is a little damaged at the top but they both look pretty cool. 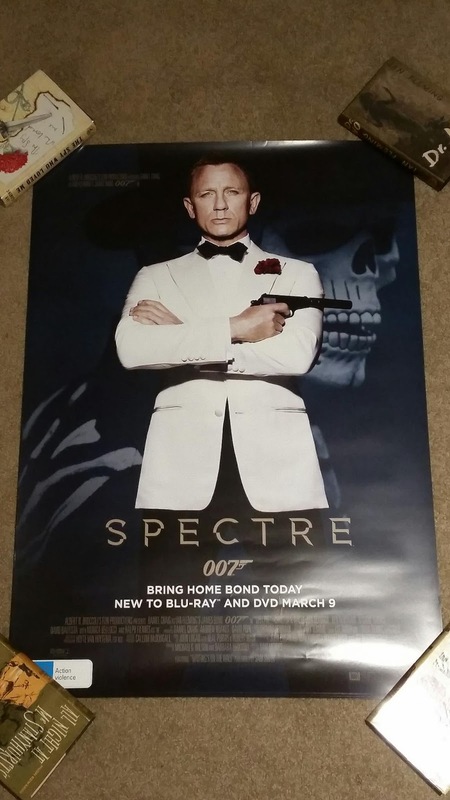 They also gave me several of these posters which hadn't been displayed. 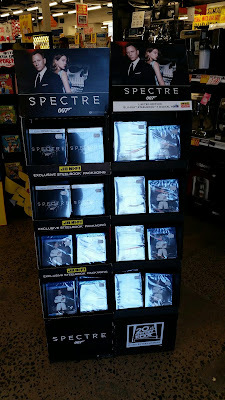 So obviously I was pretty stoked after picking up all this Bond stuff. 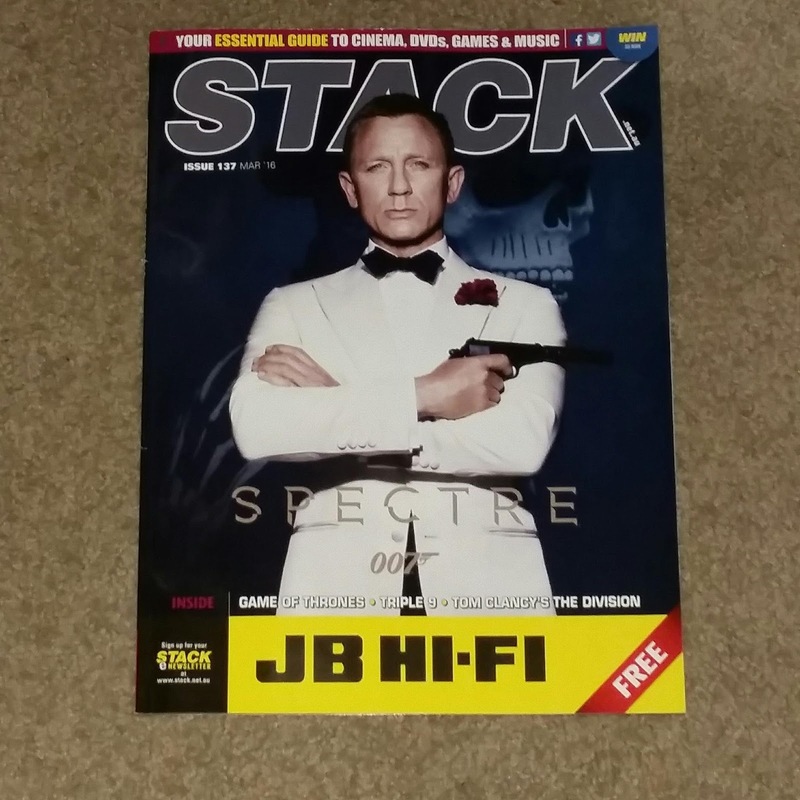 Now I just have to find somewhere to put it in my Bond room !